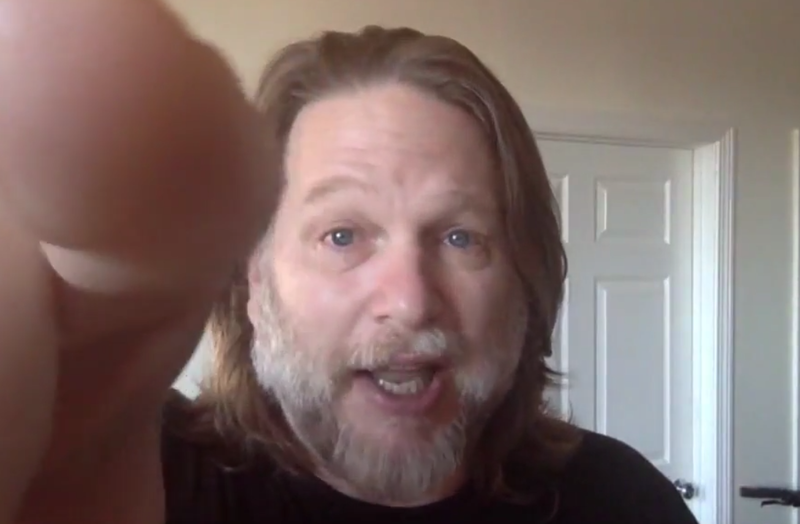 Chris Brogan Says if Your YouTube Videos Are Boring… Emote! One detail that I see repeated over and over and over again in your YouTube videos is that you forget that this medium requires you to amp everything up a little bit more than what’s probably your normal delivery. When I’m talking normally to other people I still use my hands but not as much as I do in a video. One other difference is I’m very vividly aware of this frame. I’m making sure that I have everything such that I’m paying attention to the frame. I’m looking at the lens which means I’m looking at your eyes and I’m paying attention, but what I’m also doing, and this is where it gets important, is I’m emoting. I could talk to you about the data, I could just say you know it’s really important to emote, emoting is good, you should emote. But in video, you’re performing whether or not you want to. Notice a difference in how I was talking. When I just kind of talked normal, one of the things I do is there are not really many pauses. It’s just kind of walking along and getting the words out as fast as I get the words out. When I’m performing, there are a few more clear pauses and I’m doing a little bit more enunciation and I’m changing and validating and varying all the different pieces of the words so that you can catch up. I’m trying to keep it audibly interesting and I’m trying to keep the energy level high because that’s what we respond to in video. I don’t know how many times I’ve seen some of my friends talking on video and they seem sort of like they’re just being held at gunpoint. No one wants it and so you have to deliver. It’s performing, its producing, it’s creating something for someone. It’s not fake. It’s just a way of making sure that everything gets pushed forward a little bit, notches it up. You do this kind of thing when you make a selfie. You might image adjust a little, you might wipe out a zit or something, you might whiten your teeth, who knows. Do the same with your video, produce. Also, when you’re creating a background for your presentation you have to pay attention to that as well. I’ve been talking mostly about voice and emoting, but I wanted you to feel and understand how this all connects. You’re not just delivering the information, you have to amp things up a little, you have to push. This is coming from a guy who deals with mild clinical depression. My normal energy level is low, but if I don’t deliver like this then you don’t pay attention. I learned some of this from watching some of my friends and my kids YouTube videos. My kids watch these people who when they get excited they shout and they scream. You say, but Chris, I’m not that kind of person, I don’t emote normally. I’m not asking you not to be normal, but I am asking you to be like you… plus. Can you be just a little more you for the video? If you’re super quiet and super non-emotive, be just a little more emotive. That’s gonna help a lot.